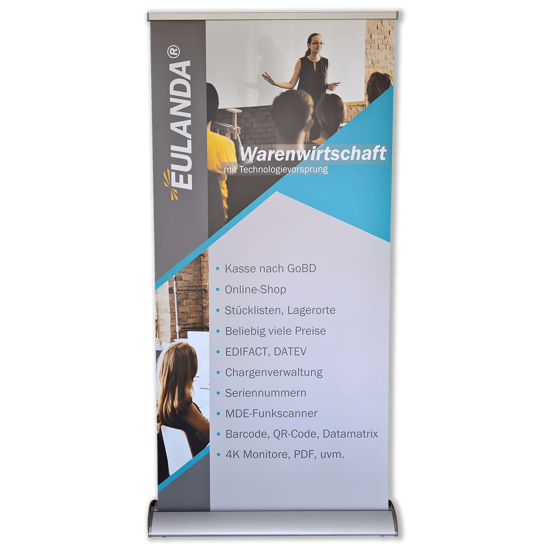 The roll-up is in the new EULANDA design with the theme "merchandise management". The size is 100cm x 200cm. The printed material is made of a 175g/qm thick PET film with a grey opaque backside. The material does not make the usual waves at the edges due to its high quality.